It’s the biggest scoop of the summer! 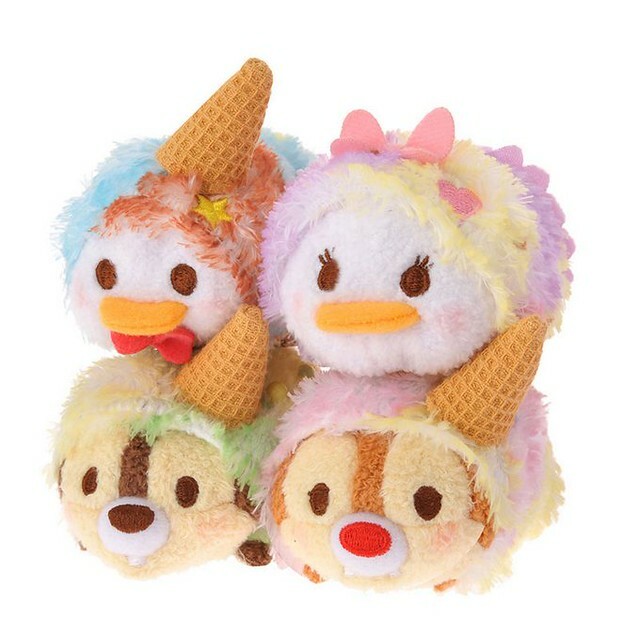 With sunny weather just inching around the corner, Ice Cream-themed tsum tsums are scheduled to arrive at the Disney Store on May 3. 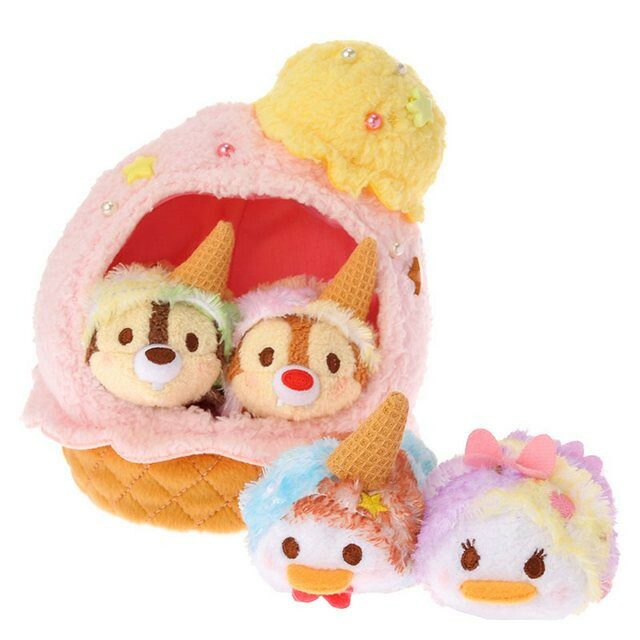 Here is a sneak peek to the 4 tsum tsum set fashioned after the staple summer treat. Chip & Dale and Donald all sport waffle cones on their heads. In place of a cone, Daisy carries her trademark bow. A large pink and yellow ice cream scoop makes the perfect house for these summer delights. Four tsum tsums have been confirmed in Chip, Dale, Donald, and Daisy. 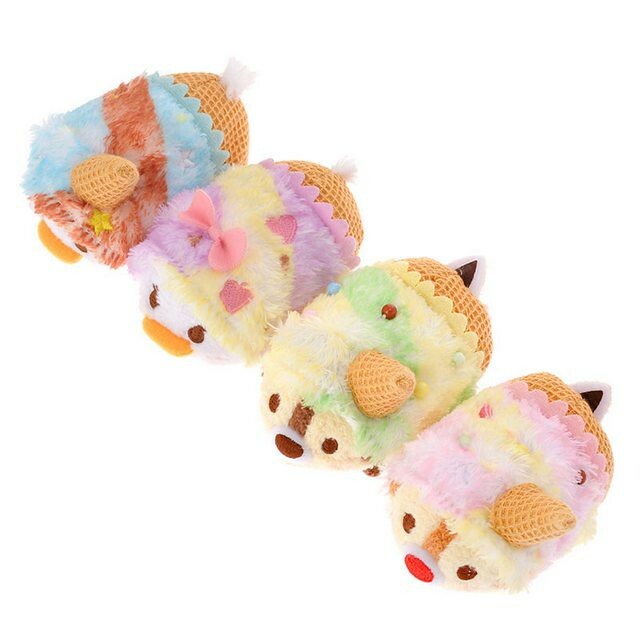 The tsum tsums are splashed with soft pastel colours reminiscent of the colourful flavours children usually gravitate towards like Baskin Robbins’ Icing on the Cake. 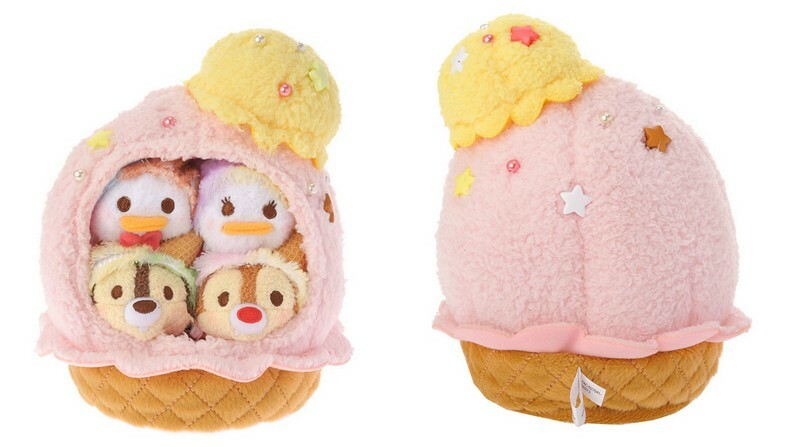 The tsum tsums can be scooped up in a house of ice cream. A bird’s eye view shows small beads and sitched patterns decorating the small plushies. Note the waffle cone patterned bottoms! The entire set along with the ice cream house is selling at 4320 yen (including tax).